The sea, once it casts its spell, holds one in its net forever. Happy Friday! I love Fridays because it signals the start of my weekend and my precious time I get to spend with my love. I have been so busy this week, I have hardly had time to get to my photos from our trip! Here are 2 of my favorites from our Queensland trip. 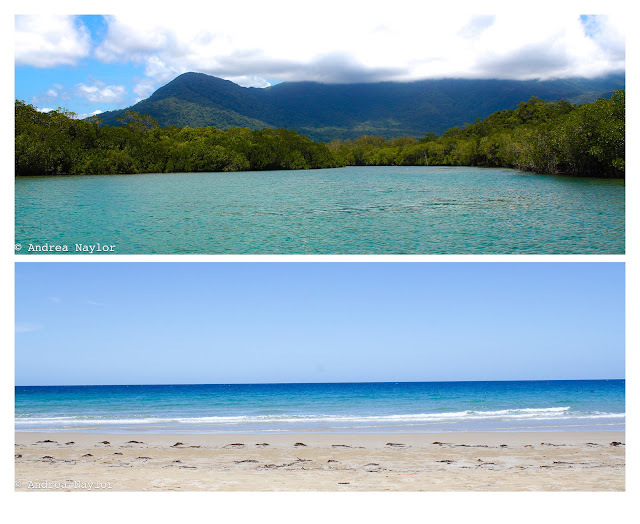 The top photos is of a crocodile boat ride we took through the mangrove forest and the photo below that is from Cow Bay on the edge of the Daintree Rainforest. If you've been following all my instagram photos I posted along our trip last week, you've already seen some peeks of how incredible beautiful Queensland is. The underwater photos are absolutely breathtaking and sleeping in a tent in the rainforest completely blew my mind. Can't wait to share those stories with you next week!